I belong to a number of great art groups. One of the groups, Let Me Tell You About The Birds and The Bees, currently has an art challenge posted to create and share a painted rock to remember someone. Thank you Brandi for this art challenge. 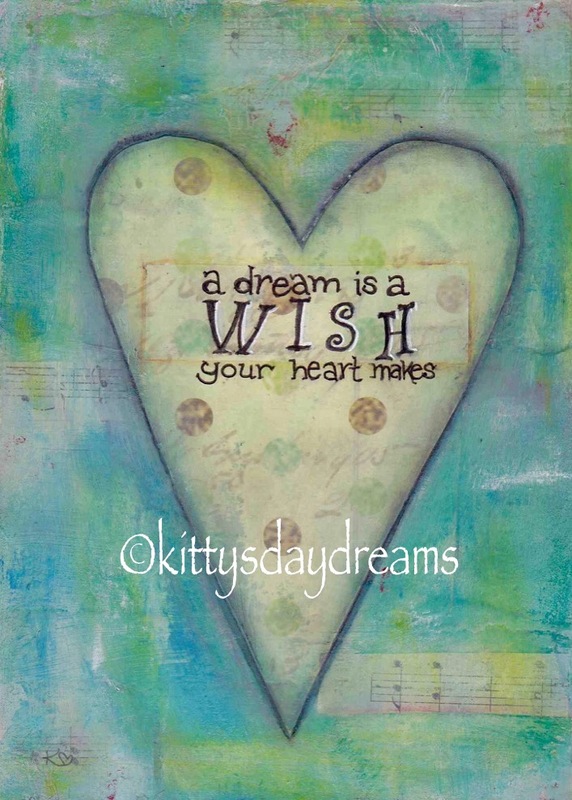 I painted this for my childhood best friend, Anita. She and her family were killed in the Air India terrorist bombing in June of 1985. I clearly remember sitting in church the morning it happened; the minister had announced there was a crash but he didn’t know if the Thomas’ were on the flight. I remember my dad reassuring me that he didn’t think they would travel with Air India. Everyone was wrong; they had been on the flight. Our world changed that day. I miss Anita so very much. I will forever remember her. I just came back from a conference. I was humbled to be asked to share some of my insights on teaching art with a group of educators. I am now back at my art table, preparing for an art sale at my church’s bazzar. I thought I’d share an in-progress photo of some of my current work. I’m an Artist. Now what do I do with all this art?! I have lived with chronic pain for ten years. As part of my pain management, I began doing mindful-based doodling (some people call this “zentangle”). I noticed it was a great way to distract myself from higher pain days, hours, moments. 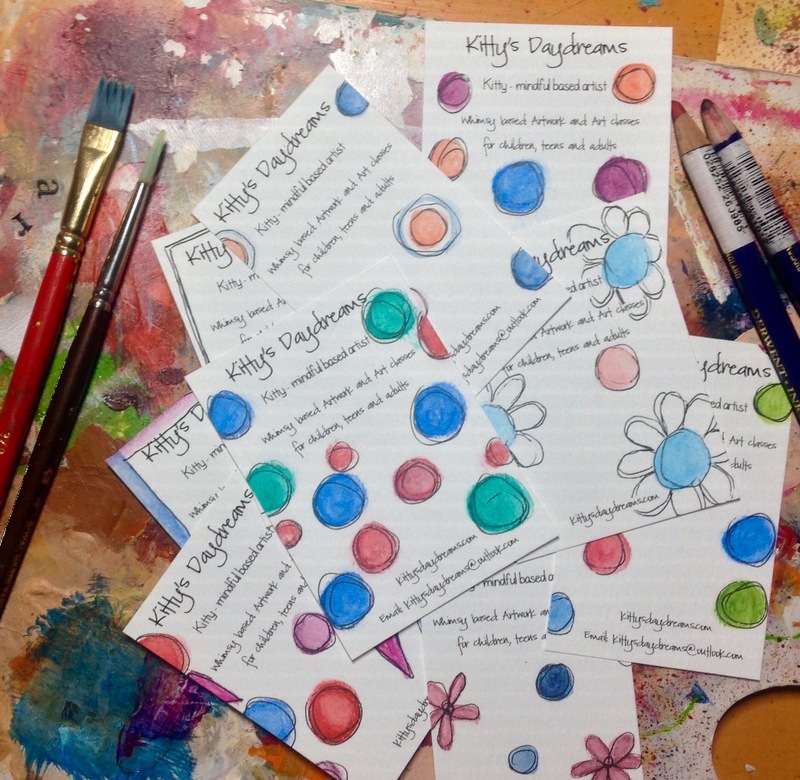 While I have always thought of myself as crafty and even though I am an art teacher and have facilitated art workshops for over fifteen years, I had never considered myself to be an artist. 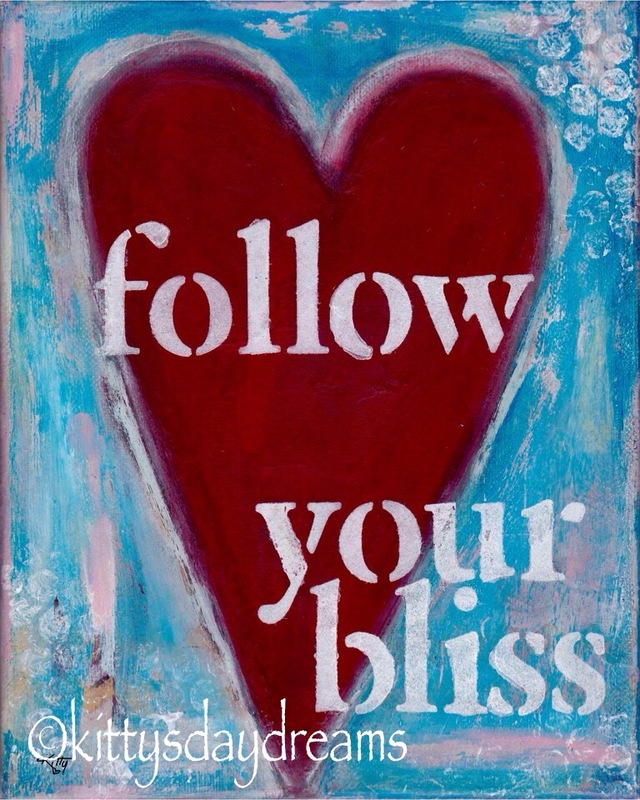 Last summer I made the conscious decision to change my mind-set. I declared myself to be an artist. Since then, I have learned that I must make some kind of art every day or my day feels incomplete. Some days (like today) my pain gets so high that it is difficult to be creative but I push through as best as I can. What do I do with all this art though? 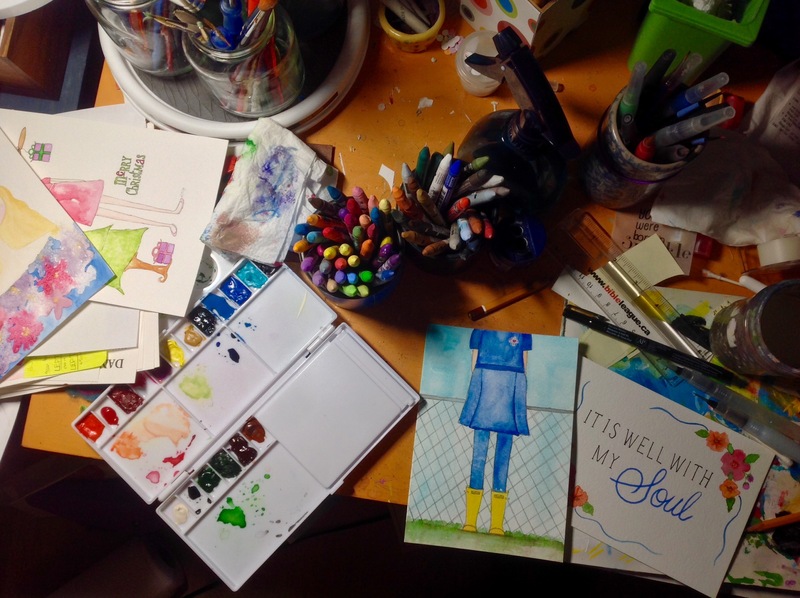 I have small paintings and some larger paintings and sketches and doodles and…the list goes on. People tell me they like my art. That feels fantastic but it doesn’t pay much. This summer I have decided that as well as being a teacher and an artist that I am also a business woman. I need to bring tangible value to my work and as such, find great homes for my artwork. This is so much easier said than done. 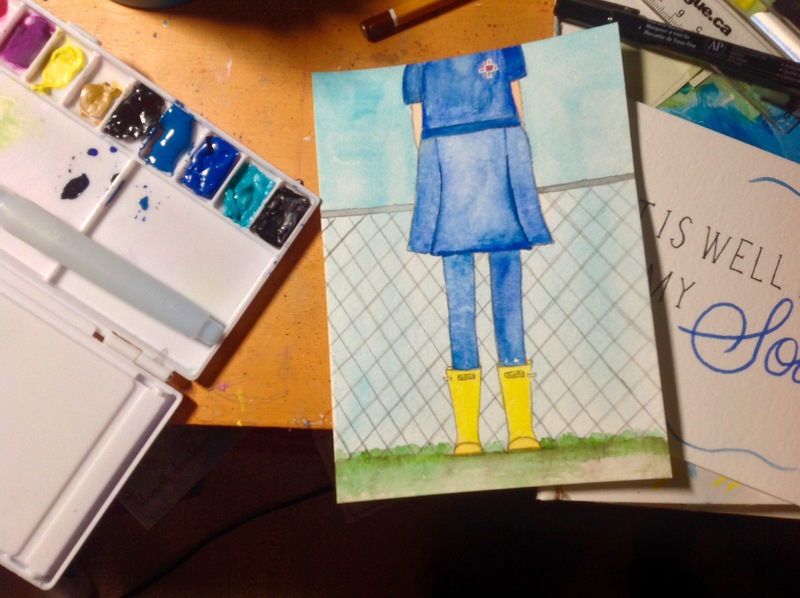 I am in the process of setting up a page on my blog to showcase more of my pieces, in the hopes that people will not only continue to tell me they like my work but will buy it too! One of the classes I teach is Grade Nine English. Other than my Art classes, (I am passionate about the visual arts) I think this is my most satisfying class. The students are old enough to think more abstractly, and because I also teach Grade Seven and Eight English, I know what they have been taught and therefore have a fairly good idea how the class will navigate through new concepts and topics taught in grade nine. My students know that I approach English through reading, writing, as well as speaking and non-verbal communication. By the end of grade nine, I have done my best to not only prepare them for the academic rigours of high school, but to equip them to have strong communication skills as they will soon be thinking about part-time jobs and other teenage social situations. When it comes to technology, I am for the most part, “old-school”. While I encourage them to make use of the most up-to-date technology when creating presentations, doing research, and writing (in Times New Roman, 12 point font, and double-spaced of course), I do not allow my students to use technology devices of any kind during class. No music listening, dictionary apps, selfie-taking, text-talking takes place during our every second-day, 85 minute long scheduled class. I’m horrible, I know. Instead, students are required to look up unknown words by using a paper dictionary (gasp!) and speak and write without slang (no gonna, shoulda, cuz, not even stuff). While I am clearly able to see the positive benefits of teaching in my device-free class, the students do not seem to agree. I have implemented strict consequences should a student ever consider sneaking using a device in class. I know that some reading this may be thinking that of course there are students who will use their device anyway (I have listened to many imaginative and creative reasons; I appear to have taught them well in this area), but I can sincerely share that while my students may be very unhappy, or even miserable at times from withdrawal, I firmly believe that they respect themselves and myself enough to follow my archaic rules. Today however, I did something different. The majority of my students were away on an overnight camping trip as part of their Bronze award level in The Duke of Edinburgh program. That left six students, and because I did not want the others to fall behind, I chose to let them work on their own. They were all focused in and working quietly when one of the students, a boy who rarely speaks during class, put his hand up. I looked at him for a moment while the others appeared to be staring at him with pity…they knew what my response would be. The room stopped breathing. While I had expected the others to follow him out they sat still; ten eyes watched him walk out and back in with his earphones. He got back to work. I will not be surprised if this goes down in history as one of those school moments they will never, ever, forget. “Do you remember the day she said, “yes”? I love my students…even if they think I’m old and archaic in some of my approaches to English class. I teach art to junior and senior high students. Yesterday, my grade nine’s were working on a visual problem exercise inspired by one of my favourite artists, Carla Sonheim. My teaching philosophy is such that I want students to push past preconceived ideas about rules within art and learn to take creative risks and solve problems on their own. As such, I rarely show examples and after teaching the required skill and explaining the piece they will be working on, I explain and then write my “must have/not have” rules on the board, (for example: you must include three different types of line, use two different media, or, you will not use cartoon bubbles to show dialogue) and then, I let the students loose to create. As they first begin working, I try to make little direct eye contact with students and their artwork to minimize the non-verbal reassurance that we all seek to find out if we are doing things “correctly”. I tell my students I want to be surprised. For some, this is extremely challenging and they use every tactic they can think of to get me to check their work. I rarely answer those kinds of questions; more than not, I re-state the must have/not haves instructions written on the board. Over time I see students not only using their imaginations more easily but also making decisions on their own. Hallelujah! This is a transferable skill that will help them improve in all the other subjects they take. In can be difficult, even with encouragement and practice, to approach a piece differently than one’s peers. If one student chooses pastels, I frequently see the whole table choose pastels. Junior high students are especially known for wanting to do the same as their friends and not wanting to do things that are for “little kids”. Yesterday, after teaching and giving the instructions, I set my grade nine students to work. 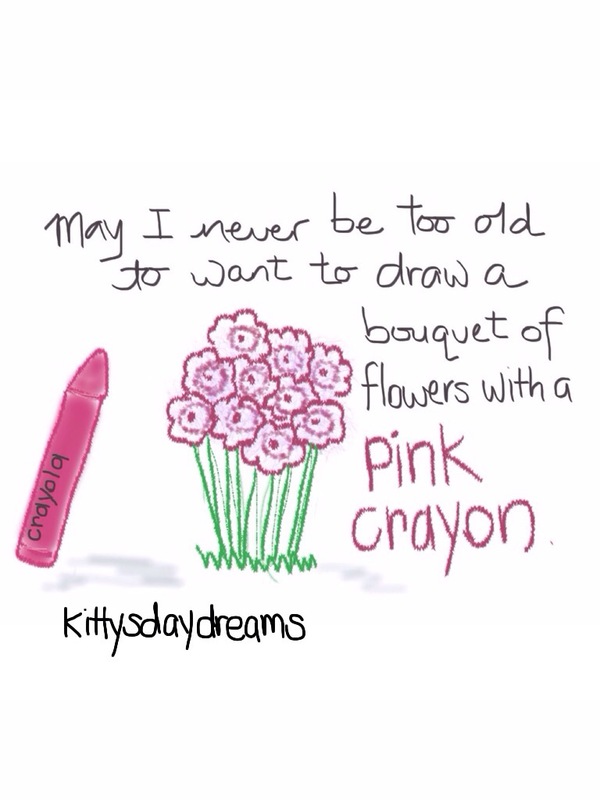 After waiting a few minutes, I began walking around the room and after passing the expected and usual marker and coloured pencil pieces, I came to a student who had pulled out and was using my box of 64 Crayola crayons from the art cupboard. I’m sitting here with coffee in hand reading through what has become a common theme in my Facebook feed; weather grief. There are so many opinions about yet another school day being missed. 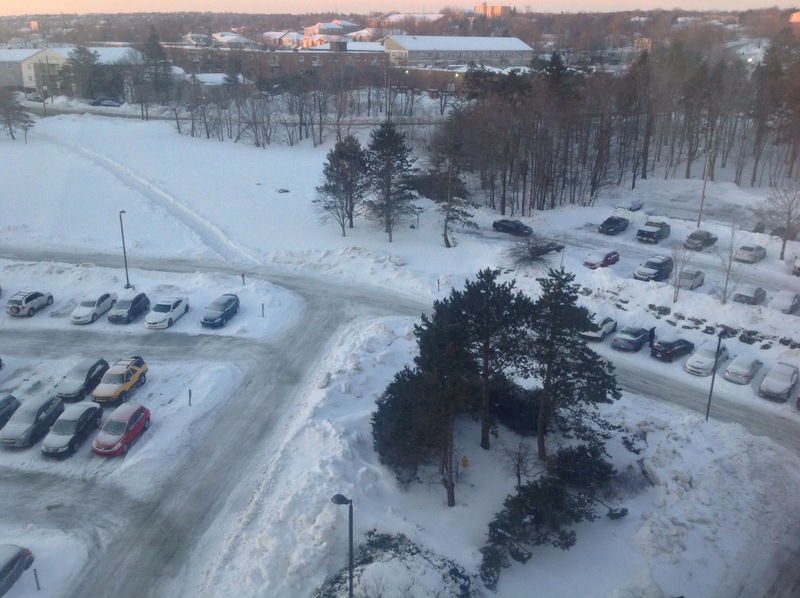 Some roads look clear, we’ve just had a long weekend, how much time can we miss before children’s educations are negatively impacted, parents need to work and where will their children go for the day, and…we live in Nova Scotia so we shouldn’t let a little snow stop us. (Read any news article for a hundred reasons more). We are however, still in the midst of clearing up from one of the worst kinds of winter weather…a snowstorm followed by rain and flash freezing. This means ice, ice and more ice, is now coating every inch of our city. 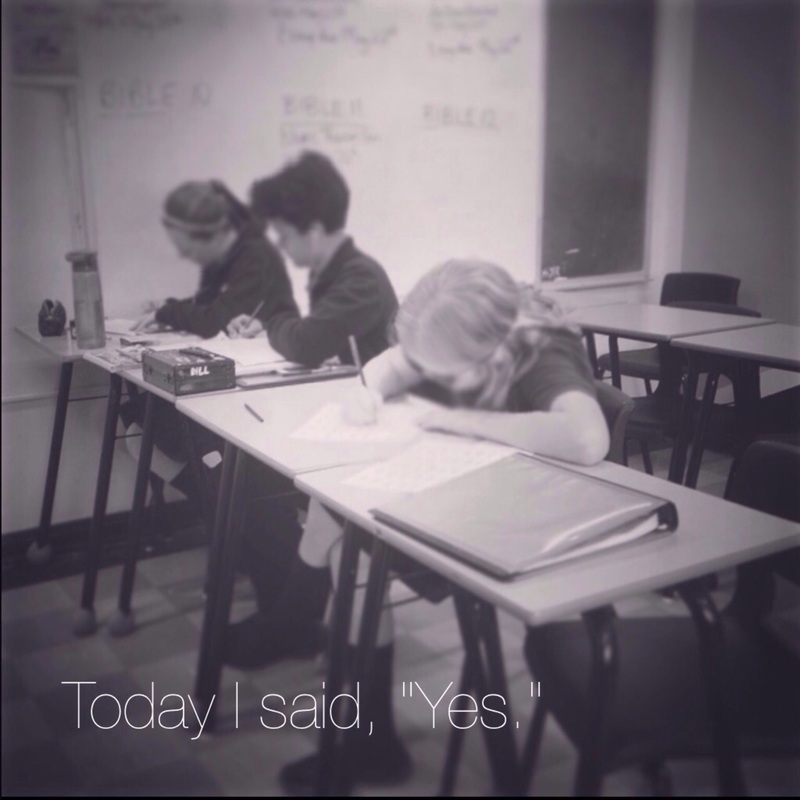 I was relieved that our regional school board, HRSB, cancelled today; my school follows suit. I have a great 9th floor view onto a main roadway. At first glance it looks great out there this morning; the sun is shining brightly and we are snow-flurry free. Another glance down to the road however, paints a different story. I have been watching people spend 40 minutes pounding ice off their car to then find their wheels frozen in three solid inches of ice. Cars turning onto our somewhat plowed street are skidding on ice patches they simply couldn’t see while people who are trying to get to the bus are walking with their arms stretched out as if walking a tightrope. They appear to be holding their breath with each step they make. I have noticed myself silently cheering them along til they finally reach the bus stop. It seems as though no matter how well our city plans, shifts its clearing routine and hires new contractors, the weather itself adopts a brand new winter plan of grief. It makes me think of the flu. Each year the new flu vaccine is developed based on the strain from the year before in the hopes that it will lower flu incidents in the upcoming year. Some swear it works while others, well, you probably know people who say the flu shot didn’t help them a bit and was a waste of time. But scientists and doctors keep trying to develop a vaccine that will work for the next year. And it takes a year to find out how well they did. It seems like the city’s winter plan is a bit like that. They shift and re-assign and hire new contractors and then we get hit with yet another new kind of winter. I’m sure some roads are cleared well by now. More roads are not. Sidewalks and walking paths are not. I’m relieved to be home, and not because it is another day off, but because I know the city still has a way to go before it is safe again for vehicles and for people. The fanciest boots, ice picks and warm clothes do not seem to protect enough from this ice. Snow is frustrating to clear. Ice, solid ice, is a nightmare. Large trucks and excavators have been spotted flipped over, have blown motors and even the scrapers bent off. There is no quick fix for ice. I saw a plea yesterday from a company willing to pay a high hourly price to anyone with an excavator. They posted their request a number of times but hadn’t gotten any takers because I’m guessing everyone who had this equipment was already out working. As a teacher, I will find a way to make sure my students stay on track with the year’s learning plan. I also know lots of kids will drive their parents crazy today complaining of being stuck at home. My son may well be one of them. That’s okay. It can be a learning lesson for him in being patient and how sometimes, no matter how badly you want to do something, you just have to wait. I love my city, in spring, summer, autumn, and yes, even when coated in winter’s ice. 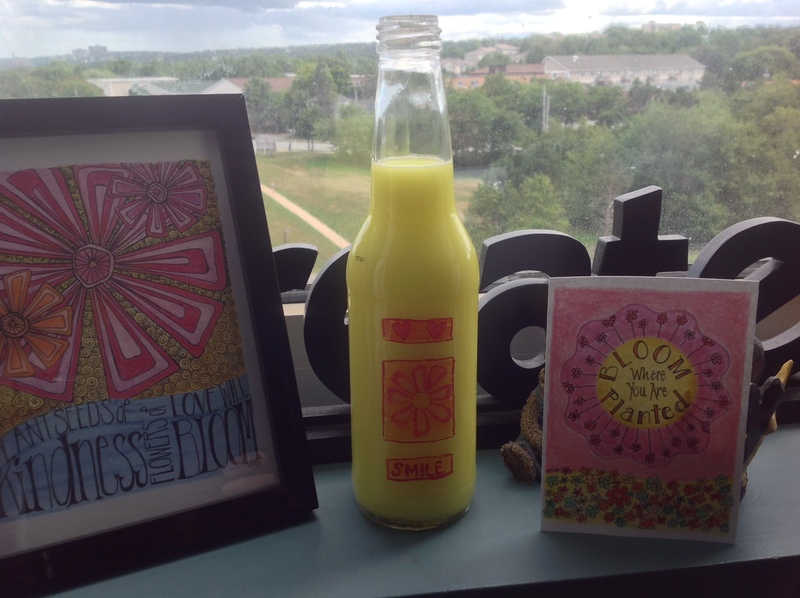 Recently, as part of the LifeBook art class I’m taking, we created a jar of celebration. 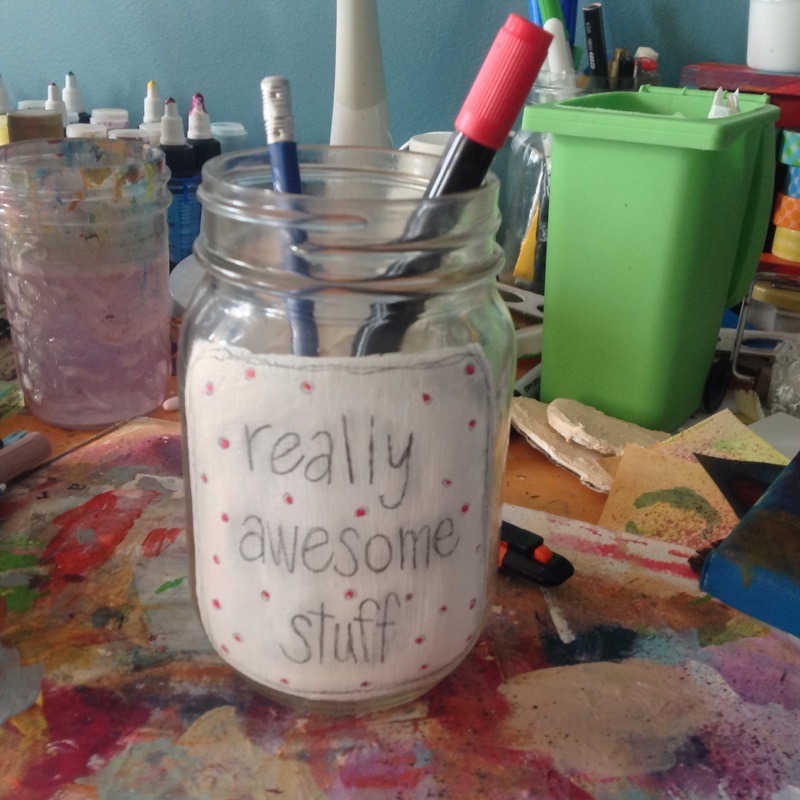 I used an old peanut butter jar and collaged napkins and stamped it into a new life. It now holds my metallic water-colour pencils. I like using jars to hold my supplies. For me, the quote, “Out of sight, out of mind”, is accurate. I love using different art media but those special papers and tags I have carefully organized by colour and pattern into labelled boxes are quickly forgotten, sometimes for months at a time. 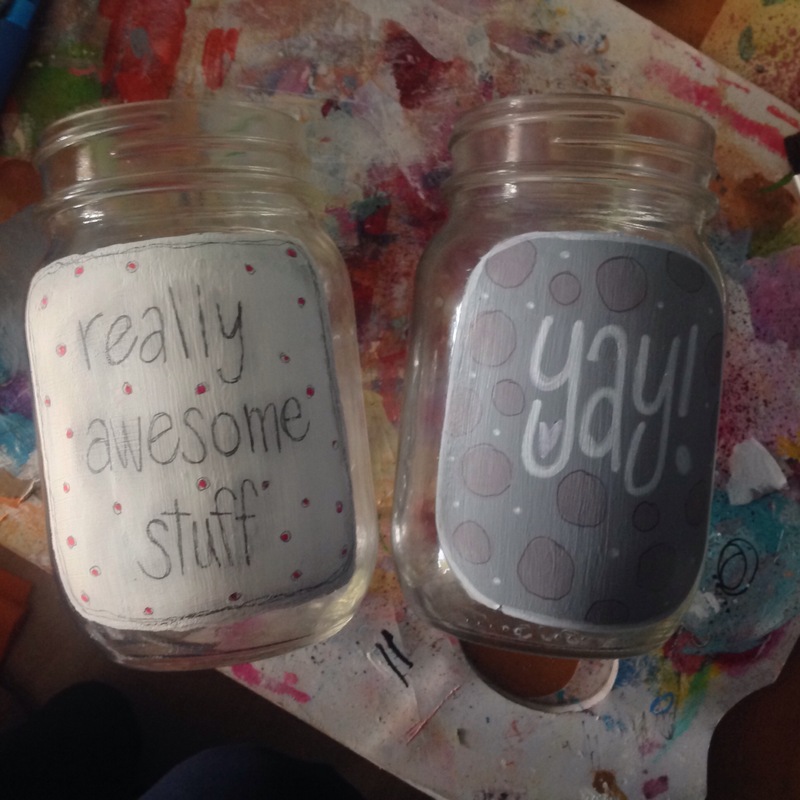 I watched a great video by Lynn Whipple on painting jars and so I found a couple of more jars to re-purpose. It took a few coats of paint before I couldn’t see through. 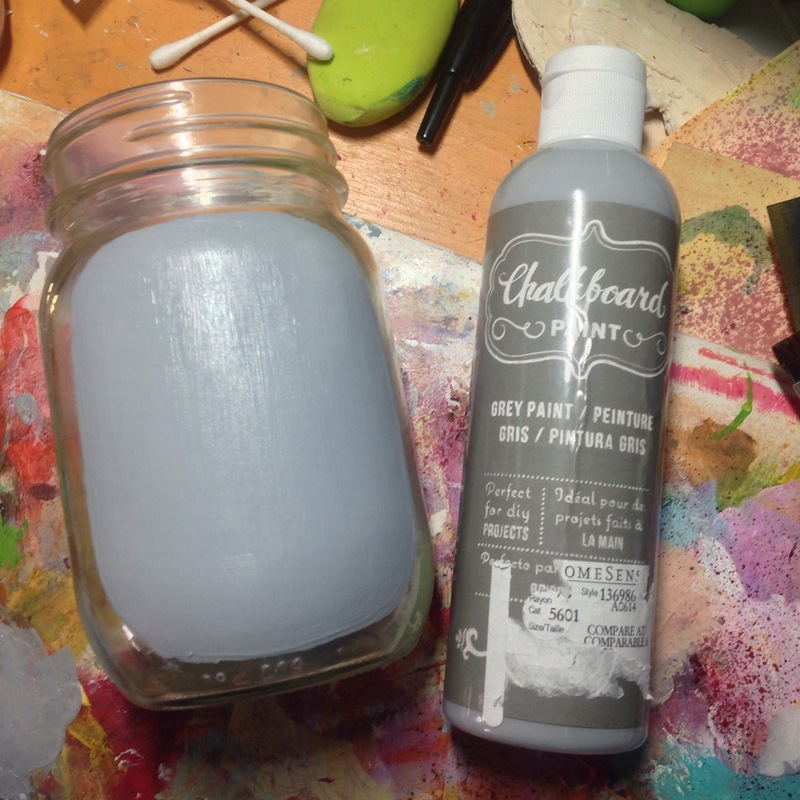 I tried chalkboard paint on one and plain white gesso on the other. 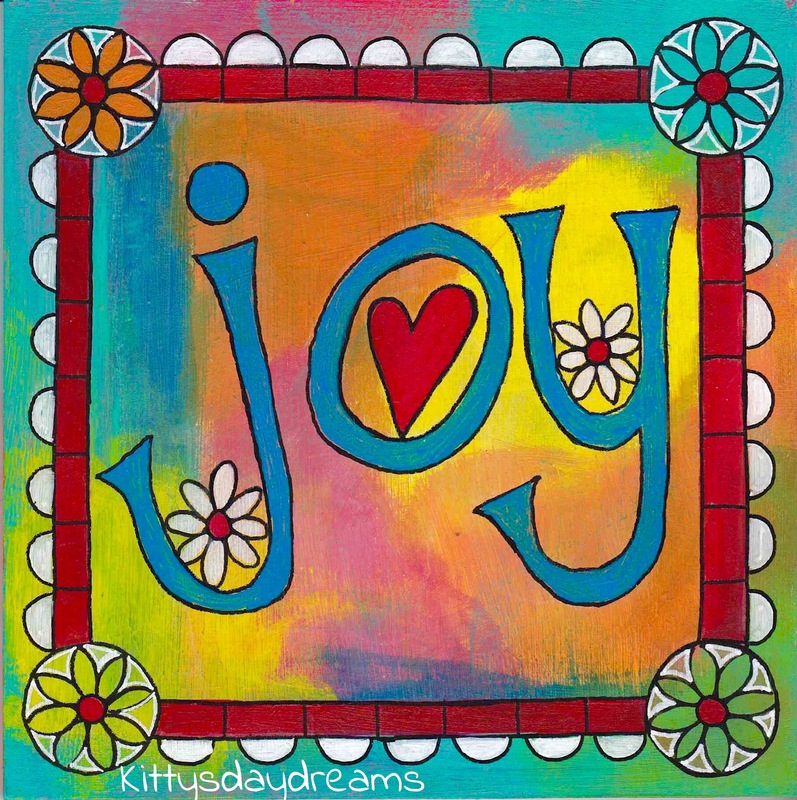 I then used my pencil, markers and other acrylic paints to add simple decorations and lettering. I wouldn’t use them to hold food items but in addition to art supplies, they could sit in a bathroom to hold Q-tips and make-up brushes, on a table with small candies, or anywhere you want. I liked how they turned out and after raiding my mother’s cupboard, I plan on making some more this weekend in new colours and designs. Hurray! 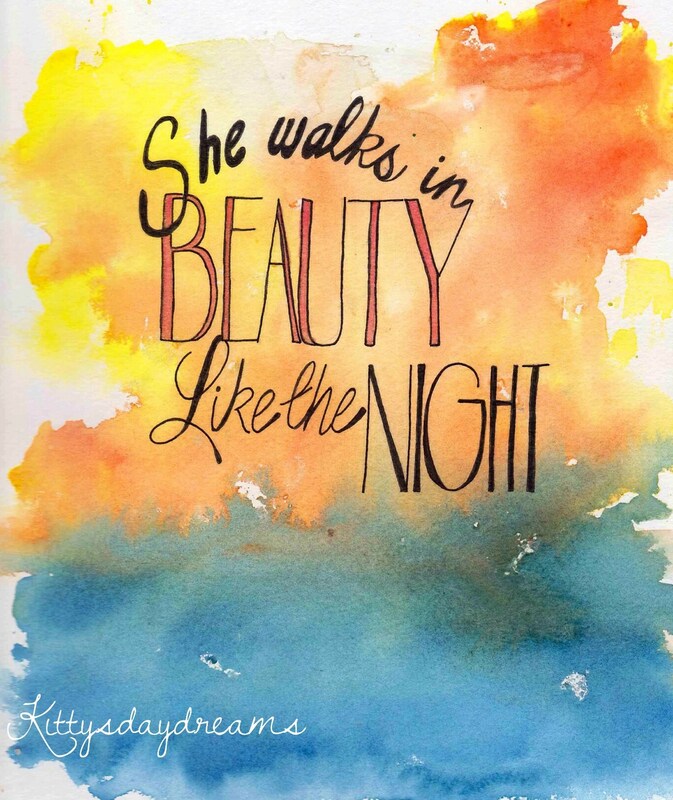 A little Sunshine In Your Day…Sharpies make everything fun! I love to use found items to create pretty things to look at. I am also as stubborn as all get out and I refuse to look up tricks and tips to make creating easier. This little bottle didn’t strain my brain and six months after I made it, is still sitting pretty on my shelf. Take off the label – I used Goo Be Gone to get rid of the extra gluey bits. Be sure to clean the outside of the bottle. 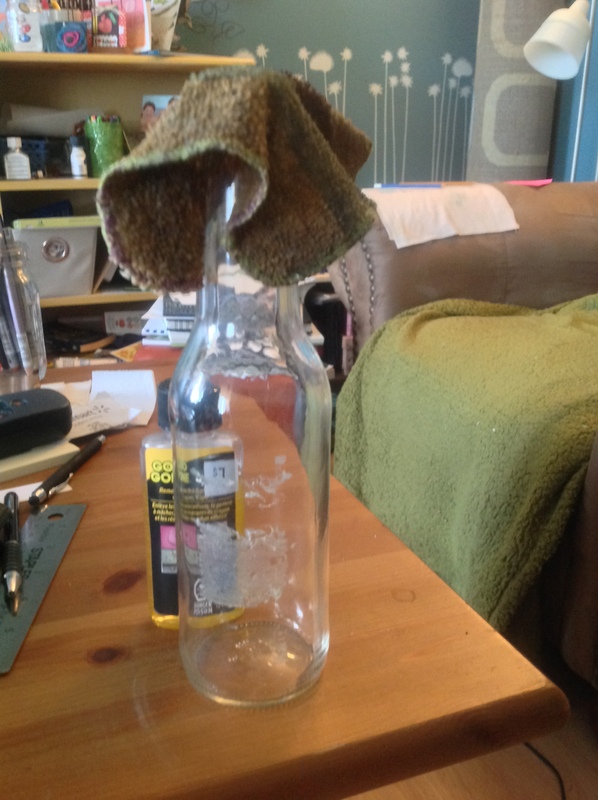 You can wipe off your bottle with some rubbing alcohol. Dry it really well. 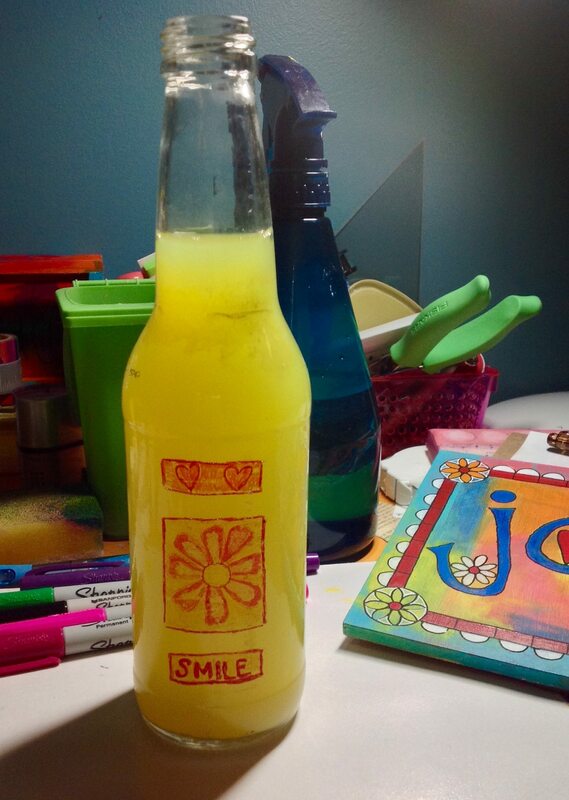 Pick out a couple of your favourite sharpie colours and doodle on the bottle. 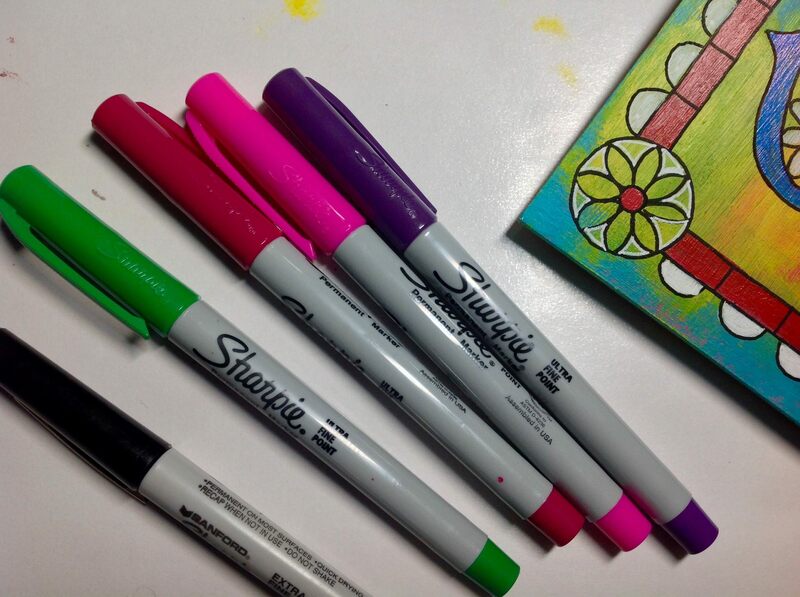 Sharpies are permanent; your cute little doodles won’t wipe off. Display your creation so the light shines in. It will look beautiful! I love looking at my little piece of sunshine. Art allows me to think more deeply, to reflect, to calm down and decompress. The physical actions required to put my mind’s pictures on a paper feel similar within my body to the ballet classes I took; it is exhausting and frustrating and beautiful and joy-filled all at once. And when I have finished a piece, I have a permanent record of the hundreds of thoughts, emotions, reflections and physical actions that went into it. I think I will let the bright pink paint blob on my shirt live on the middle of my shirt…not everything has to come out in the wash.